Ain't no rest on the Pray for the Wicked tour! 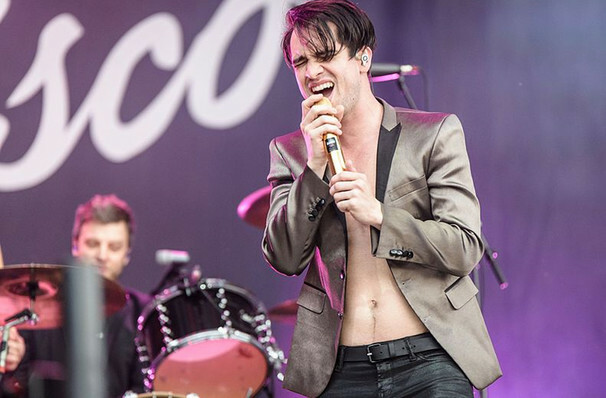 Why See Panic! at the Disco? Theatrical party punk quartet Panic! At The Disco is back with a brand new album and is more theatrical than ever! 2018 will see the outfit hit the road in support of sixth studio album Pray for the Wicked. 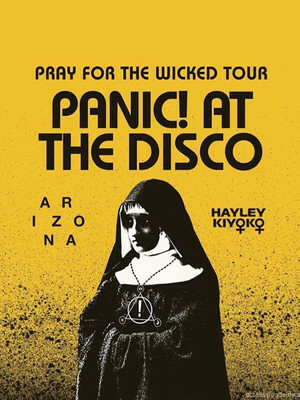 Led by guy-liner ringmaster and primary songwriter Brandon Urie, Panic is renowned for its quirky fusion of synth bops, baroque pop and poetic lyrics. The boys infuse their live shows with as much energy, bravado and vaudville-esque showmanship as showcased in their relentlessly catchy tunes. Singing their killer hooks, Urie can often be found in velvet, leopard print or sequins, playing up to his master-of-ceremonies role with enough gusto to overshadow Liberace himself. Life is a twisted, yet fun cabaret! Sound good to you? Share this page on social media and let your friends know about Panic! at the Disco at Moda Center. Please note: The term Moda Center and/or Panic! at the Disco as well as all associated graphics, logos, and/or other trademarks, tradenames or copyrights are the property of the Moda Center and/or Panic! at the Disco and are used herein for factual descriptive purposes only. We are in no way associated with or authorized by the Moda Center and/or Panic! at the Disco and neither that entity nor any of its affiliates have licensed or endorsed us to sell tickets, goods and or services in conjunction with their events.